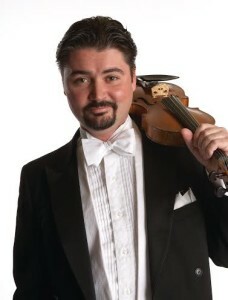 The Board of Directors of the Bloomington Symphony Orchestra (BSO) is pleased to announce the appointment of Michael Sutton as its next Concertmaster. Sutton will begin his appointment at the beginning of the BSO’s 52nd season with a performance at Bloomington’s SummerFete on July 3. Michael Sutton has been a proud member of the Minnesota Orchestra for 16 years. Sutton grew up in Minneapolis, studying at MacPhail Center for Music. He left for Manhattan School of Music where he earned two degrees. Sutton has been active with causes he believes in; he served on the board of directors of the Greater Twin Cities Youth Symphonies, and the Hamm Clinic for Mental Health in St. Paul. Michael is married to the ever-vivacious Beatrice Blanc, a Suzuki teacher at the MacPhail Center for Music. Please join us in giving a warm welcome to Michael! You can leave a comment or greeting in the comment area below.